Two of Russian gilded silver and cloisonn� enamel spoons, maker's mark unclear, but probably Gustav Klingert,his design and style. Moscow, late 19th century. 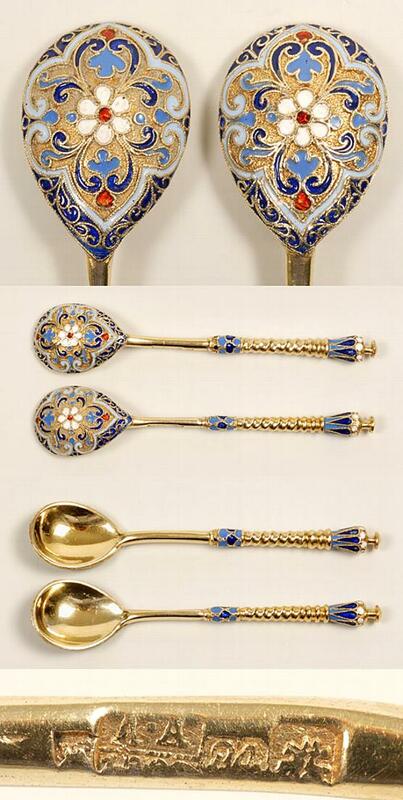 Each spoon is decorated with a scrolling floral design against a gilded stippled ground. The traditional twist handle terminates in a crown shape enameled finial. Length: 3 3/4".